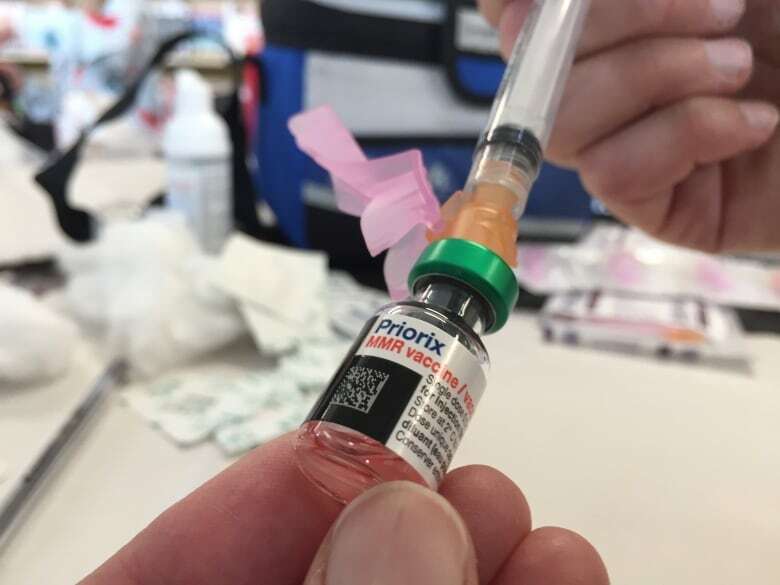 Saskatchewan boasts a high rate of children who have been vaccinated, but there is still room for improvement, Saskatchewan's chief medical health officer says. . 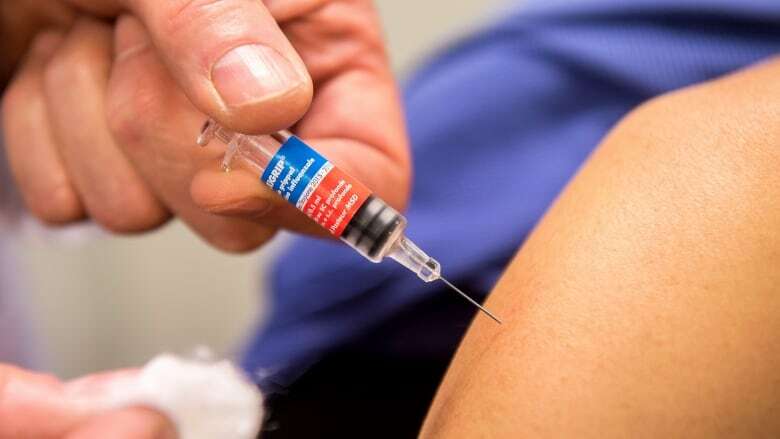 The high rate of vaccinations for preschoolers and school-age children is key to stopping major outbreaks of highly contagious diseases including measles, mumps, whooping cough and chicken pox, Saskatchewan's chief medical health officer says. Dr. Saqib Shahab says the overall vaccination coverage for preschoolers is around 87 per cent. The rate of vaccination increases to 90 per cent in Grade 1 as public health nurses check the children's medical record and send letters home to parents, Shahab. In Grade 6 children have another round of vaccinations and, if they are behind, they can catch up with any vaccinations they may have missed. That bumps up the rate of vaccination to 93 per cent of the children. By Grade 8 the rate is 94 per cent of children. Shahab says the goal is to have 95 per cent of the population vaccinated. "We'd like to be at 95 per cent before they start school, so there is still room for improvement," he said. Major outbreaks of measles have occurred in Europe and South America this year. "Recent measles outbreaks in Europe and other countries are also a reminder that infectious diseases can spread quickly, through travel and coming into contact with unimmunized or under-immunized individuals," Dr. Shahab said. Free immunizations are available for infants and school-age children in Saskatchewan. Parents will soon receive immunization information packages for children in Grades 6 and 8. If your child missed vaccinations or to check your child's immunization status, contact your local public health office at www.saskatchewan.ca/residents/health/public-health/public-health-offices. Information on Saskatchewan's immunization programs are available online at www.saskatchewan.ca/immunize or call your public health office or HealthLine 811.